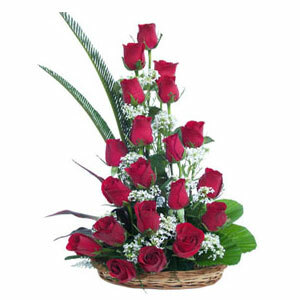 Pretty and Perfect 24 Red Roses in around basket with greenery and fillers. There's nothing like red roses to show your affection. It can be best gift for anyone whom you just want them to be happy with your relationship. 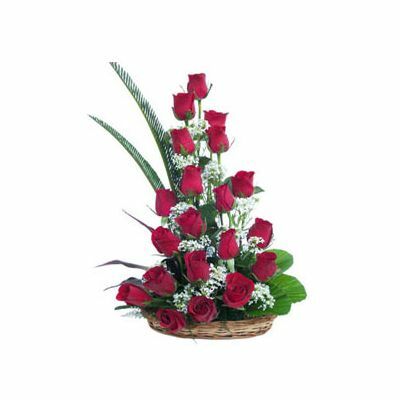 So make your day wonderful with gifts which gives surprise to the idolized ones.